SF Public Library's $1 Book & Media Sale | Mission Dist. The 2nd Saturday of each month, rain or shine, the San Francisco Public Library opens the doors to their Book Donation Center for a massive $1 sale. Selection changes each month, and random treasures abound. Come by and pick up choice books and media at unbeatable prices. All books and media are just one dollar each. Proceeds from the sales support the San Francisco Public Library. The series takes place every 2nd Saturday of the month. 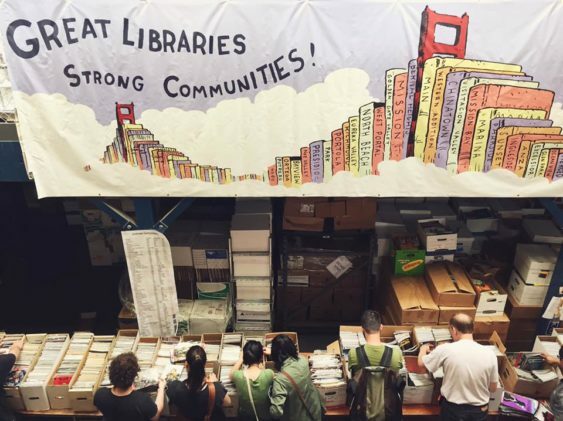 Sat 5/11 SF Public Library’s $1 Book & Media Sale | Mission Dist.